He says he discussed attacks in the West with al Qaeda, including in the U.S.
A New York man who pleaded guilty in January to charges of aiding al Qaeda was ready to be a suicide bomber for the organization, but was told he needed more religious instruction, according to a document obtained by CNN on Thursday. Bryant Neal Vinas says he spent time in the mountains of Waziristan with al Qaeda members. Bryant Neal Vinas gave an interview in March to Belgian prosecutors as part of a terrorism case there involving a cell he was associated with. CNN obtained the prosecution-prepared interview summary document from a Belgian defense attorney, and it was authenticated by both a federal prosecutor in New York and Vinas' defense attorney. The French-language document gives a detailed picture of how Vinas traveled from New York to Pakistan and what he did while he was there. Vinas pleaded guilty in January to charges of conspiracy to murder U.S. nationals, providing material support to a foreign terrorist organization and receiving military-type training from a foreign terrorist organization, the FBI said Wednesday. He admitted involvement in an attack on a U.S. military base in Afghanistan in September 2008, according to an indictment filed under seal and made public Wednesday. In addition, authorities said he provided al Qaeda with information about the New York transit system and the Long Island Railroad. Vinas, 26, is an American citizen, said a source close to the investigation. He was arrested in Pakistan, the source said. According to the document obtained Thursday, the Queens, New York-born Vinas converted from Catholicism to Islam in 2004. He hooked up with al Qaeda in Pakistan three years later, and by September 2007 was determined to wage jihad in Afghanistan, the document says. He left New York exactly six years after al Qaeda struck the city and arrived in Lahore, a major city in eastern Pakistan, on September 12, 2007. With the help of a friend he had known in New York, who was connected in militant circles, Vinas sought out individuals in Lahore who could help connect him to jihadists fighting in Afghanistan, according to the document. Weeks later, the document says, Vinas was in Afghanistan's Kunar province, a hotbed of the insurgency, with a group of 20 insurgents who crept up near an American combat outpost. At the last minute, they decided not to fire mortars on the base because American war planes were circling overhead, the document says. Before launching the raid, Vinas said, recruits were required to sign a number of forms. From the document, it is not clear whether those forms constituted formal membership in al Qaeda, but Vinas stated that "it was not necessary to sign documents or take part in a ceremony to become a member of al Qaeda." Later in the document, he was quoted as saying he succeeded in becoming a full member of al Qaeda. Vinas then returned to Mohmand, an agency in Pakistan's tribal areas, the document says. His handlers then asked him to become a suicide bomber. He agreed, and was sent to Peshawar, Pakistan, to receive more instructions. But Vinas told investigators that his handlers decided he needed more religious instruction before he would be ready to become a suicide bomber, the document said. After his instruction in Peshawar, Vinas said, he traveled into the mountains of Waziristan in Pakistan's tribal areas. Vinas said that during his time there he spent a lot of time with members of al Qaeda, including operatives from Saudi Arabia and Yemen, according to the document. Between March and July 2008, Vinas said he attended three al Qaeda training courses, learning how to fire an AK-47, a rocket-propelled grenade launcher and handguns. He also familiarized himself with explosives and was taught to make suicide bombing vests. At the end of his training, Vinas said, his handlers judged that he was qualified to participate in missile attacks against American, NATO and Afghan bases in Afghanistan, the document said. In September 2008, Vinas said, he traveled to a town near the Afghan frontier where he joined a group of jihadists including al Qaeda fighters. Creeping toward the Afghan border, he said, the group fired rockets toward an American combat outpost in Afghanistan. This is the attack Vinas pleaded guilty to in January, authorities said Wednesday. 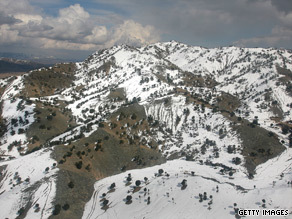 After launching the attack, Vinas spent several weeks in the mountains of Waziristan near the Afghan border. It was there, Vinas said, that he had detailed conversations with "al Qaeda chiefs," according to the document. Vinas is quoted as saying the subject of those discussions included attacks in the West, including in the United States. Vinas is not quoted in the document elaborating further. Vinas stated that he left Pakistan's tribal areas in October 2008 and returned to Peshawar in search of a wife. That's where he was arrested a few weeks later. Vinas is quoted in the document saying that during his stay in Pakistan he spent time with a number of Belgian and French citizens who had traveled to Pakistan's tribal areas in early 2008, and who, like Vinas, received military training there. In December 2008, several members of this group and some of their Brussels associates were arrested on their return to Europe after security services received indications they might be plotting a terrorist attack in Belgium. Belgian magistrates wanted to question Vinas in March for this reason. Vinas pleaded guilty on January 28 in a closed hearing, according to court documents. At the time, the case was filed naming "John Doe" as a defendant and was sealed. The FBI's New York office would not say whether Vinas has been sentenced or comment on why the case was sealed. It said Vinas is in the custody of the U.S. Marshals Service. Vinas is also known as "Ibrahim," "Bashir al-Ameriki" and "Ben Yameen al-Kandee," according to the indictment unsealed Wednesday. In Pakistan, according to the document, Vinas said he met with the alleged leader of the Franco-Belgian cell, a Tunisian, who Belgian intelligence sources have told CNN was Moez Garsallaoui. Garsallaoui is the husband of Malika el Aroud, a Belgian woman who has been described as an "icon" of the jihadist movement because her former husband assassinated Ahmed Shah Massoud, the head of Afghanistan's anti-Taliban Northern Alliance, two days before 9/11. El Aroud was one of those arrested in Brussels and is awaiting trial, accused of having teamed up with her new husband to recruit Europeans to fight Jihad. In 2006, CNN interviewed Garsallaoui and El Aroud in Switzerland. Garsallaoui, who Belgian counterterrorism sources believe is still at large in the tribal areas between Afghanistan and Pakistan, boasted to other group members that he had carried out an attack on an American base in Afghanistan, firing rockets from Pakistan, according to legal documents obtained by CNN. It is not clear whether Vinas also joined Garsallaoui on these raids.